The interest in Samaritans Safe Place support groups for those who have lost a loved one to suicide continues to grow, with 272 attendees participating in our monthly meetings last year, over 100 of them attending for the first time. Samaritans support groups and other survivor programs provide emotional support and a safe, confidential environment for people who are not only grieving the loss of someone they loved but are also often dealing with the stigma and misconceptions many people have about suicide. Go to: samaritansnyc.org for more information. On World Suicide Prevention Day 2015, an in-depth article was posted on Medical Daily that explored the approach utilized by Samaritans crisis response centers around the world when responding to someone who is suicidal. The piece provided guidelines on effective listening, keeping the focus on the person you are trying to help and utilizing community resources. NYC’s only completely confidential 24-hour suicide hotline is often the first place people call when they are in distress or are concerned about a friend, loved one, client or colleague. Last year, our 120 volunteers from the city’s diverse communities answered over 82,000 hotline calls from people in crisis, the most calls in our history, donating 30,000 hours of their time (equal to $750,000 in free labor). Samaritans hotline continues to provide a point of entry into mental health care for the underserved, those hesitant to seek help as well as those who wish to maintain their confidentiality. In contract with the NYC Department of Health & Mental Hygiene. Samaritans has unveiled a new logo and visual concept that we are utilizing in our hotline posters, volunteer ads, fundraising team T-shirts and other marketing endeavors. Our goal was to create imaging that was vibrant, colorful and contained a positive, life-affirming message. We hope you like it! 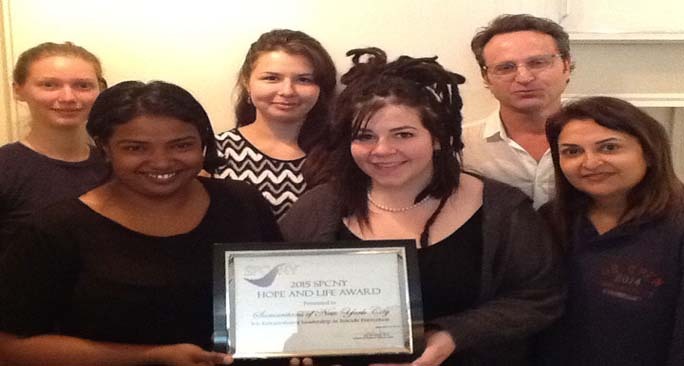 The Suicide Prevention Center of NY honored Samaritans with their 2015 Hope and Life Award “for extraordinary leadership in suicide prevention” at a special ceremony on September 16. Stating “suicide is everybody’s business,” the ceremony celebrated those who have made a difference and advanced the prevention initiatives of the NYS Office of Mental Health, including the founding SPCNY team, Crisis Services of Erie County and other key leaders in the field. h mental disorders, gambling problems and other addictive behaviors. Samaritans continues to be an active member of Befrienders Worldwide (our international association), work with the National Council for Suicide Prevention (consulting with SAMHSA, NIMH and other government bodies helping shape suicide prevention initiatives in the US) the NYS Office of Mental Health (in advancing effective statewide goals to expand suicide prevention and safety planning education) and the New York City Council (maintaining and expanding suicide awareness, access to resources and the needs of at-risk populations). NYC’s only confidential 24-hour suicide prevention hotline is often the first place people call when they are in distress or are concerned about a friend, loved one, client or colleague. Last year, Samaritans 120 volunteers answered over 76,000 hotline calls from people in crisis, the most calls in our history, donating 30,000 hours of their time (equal to $750,000 in free labor). Samaritans continues to be the go-to hotline for those resistant to seeking help as well as those for whom complete confidentiality is a significant issue in determining where to seek help. In contact with the NYC Department of Health and Mental Hygiene. who work in 479 schools providing the keys to effective active listening, identification of warning signs and risk factors, suicide assessments and the steps to follow when designing individual safety plans with clients who are in distress or suicidal. Funding provided by the New York City Council and Neuberger Berman Foundation. This project was designed to increase students, parents, teachers and health care providers awareness, knowledge and understanding of the causes, incidence and impact of depression on community residents and, relative to the audience, the keys to responding effectively. The program consisted of: on-site presentations to 1,362 students, parents, guidance counselors, social workers, patient advocates and consumers at 30 sites; an education and awareness outreach campaign to hundreds of sites that serve at-risk populations in their communities; distribution of the comprehensive Suicide Prevention, Crisis Response & Safety Planning guide to all participants. year included a survivor forum, a Writing a Path to Healing workshop (with Carla Fine), a panel discussion following the film, Elena, by Petra Costa and the development of a Survivors of Suicide Loss resource guide. Samaritans continues to be an active member of the National Council for Suicide Prevention, consulting with SAMHSA, NIMH and other government bodies helping to shape national suicide prevention policies and initiatives for a health problem that the CDC reports now leads to more fatalities annually than automobile accidents. 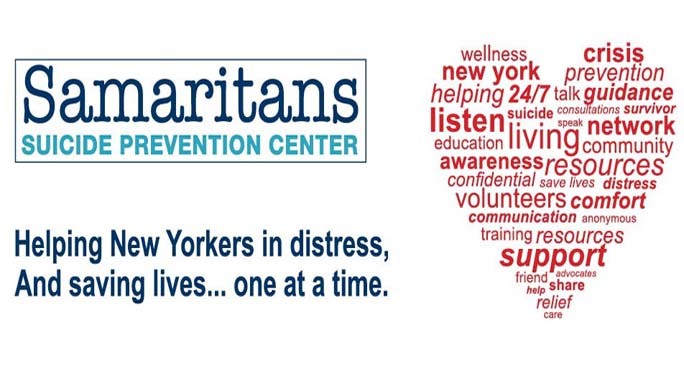 Samaritans also consults and collaborates with the NYS Office of Mental Health in advancing effective statewide approaches to expand suicide prevention and safety planning education and awareness; and, works closely with the New York City Council in promoting suicide prevention planning on a citywide and community level and in providing outreach to the underserved and those who are highest risk for suicide. The landmark St. Bart’s on the Park was the site of a Samaritans benefit hosted by our Board President, Wes Puryear, an Executive Director at JP Morgan in support of our suicide prevention programs. With significant participation by JP Morgan staff and many of our long-standing friends, close to 250 guests were entertained by the jazz band Talisman, took part in a silent auction and enjoyed New Orleans-inspired cocktails and food. 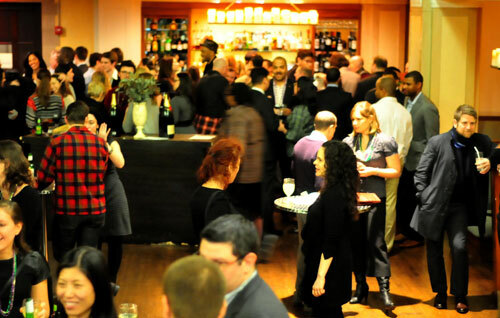 Make sure to join us next year when our benefit will take place in March. The interest in Samaritans Safe Place support groups for those who have lost a loved one to suicide has grown at an historic rate, with 239 attendees participating in our twice monthly meetings so far this year, over 90 of them attending for the first time. Samaritans support groups and other survivor programs provide emotional support and a safe, confidential environment for people who are not only grieving the loss of someone they loved but who are also, frequently, dealing with the stigma and misconceptions many people have about suicide. 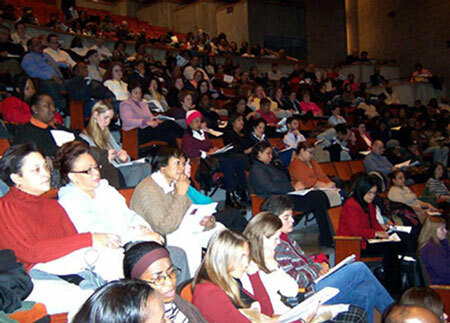 As the only community-based organization in NYC devoted to suicide prevention, and the group credited with bringing suicide prevention education to the NYC public school system, Samaritans was asked to provide perspective and insight into the challenges faced by the Department of Education in identifying, responding to and treating at-risk students. The NYC Council Committee on Mental Health, Mental Retardation, Alcoholism, Drug Abuse and Disability Services jointly with the Committee on Education. Paralleling the work of SAMHSA, nationally, and NYS OMH, statewide, to improve efforts to prevent suicide by engaging in dialogues with those who have the most knowledge and experience and are in the best position to impact change, Samaritans hosted an expert roundtable that brought together 40 of the top people in the field in research, program design, education public policy and service delivery (from Columbia, NYC Department of Health, NYU, FDNY, Catholic Charities, Children’s Aid Society, Coalition for the Homeless, Trevor Project, etc.) to develop strategies and linkages to improve the current state of crisis response in NYC. With the CDC Youth Risk Behavior Survey reporting that 10% of NYC public high school students attempt suicide every year, Samaritans was contracted by the NYC Department of Education to provide professional development trainings for their frontline student support personnel—guidance counselors, social workers, drug and alcohol counselors, family liaisons, etc.—in all five boroughs. Through a series of trainings, Samaritans served 675 school staff from over 500 school sites throughout the city. The intensive inter-active training addressed staff concerns and discomfort in dealing with suicide, the keys to identification and effective responses, risk assessment models and the information, resources and referrals that they need to comply with department regulations on suicide prevention and individual site suicide prevention planning. Recognizing the many issues involved in caring for and responding to people in distress, Samaritans has created NYC’s first comprehe­nsive guide to helping people in crisis. 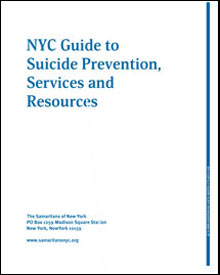 Based on 25 years experience providing training and technical support to over 30,000 caregivers, the guide provides details and linkages to key information tied to identifying and assessing suicide risk, responding to suicide survivors, utilizing accessible resources, free training, major research, etc. Funding from the NYS Office of Mental Health. The launching of the “National Strategy for Suicide Prevention” by Health & Human Services Secretary Kathleen Sebelius, Secretary of the Army, John McHugh and Surgeon General, Regina Benjamin was an historic milestone in combating the 10th leading cause of death in the US. The Strategy provides a blueprint for those working in schools, hospitals, community health centers, local and state governments, the media and countless others to improve suicide prevention efforts, strengthen safety nets and develop more effective approaches to responding to those who are depressed, overwhelmed and experiencing trauma. 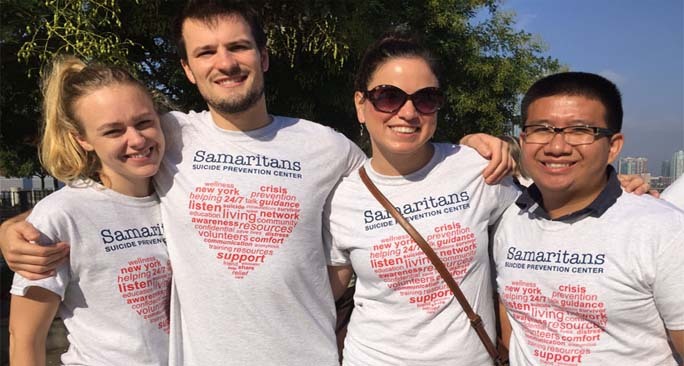 The National Council for Suicide Prevention, of which Samaritans is a founding member, was an ongoing consultant to SAMHSA in the development of the Strategy, providing feedback and perspective on its design and language. Every year Cantor Fitzgerald, the financial services organization that lost hundreds of employees on September 11 commemorates those they lost by reaching out to help others. 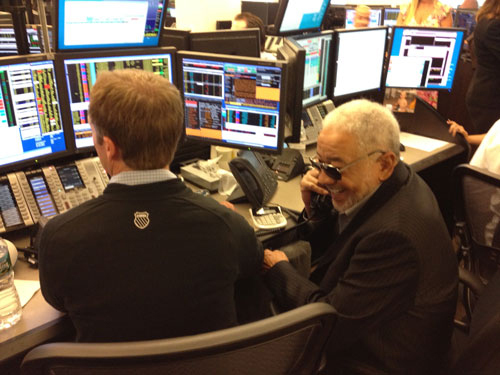 Charity Day was originally conceived to raise money for the Cantor Relief Fund to assist the families of Cantor employees who they lost but now reaches out to help and honor charitable organizations that do important work. This year, Samaritans of New York was honored to be invited to participate in this remarkable event. Samaritans was asked to provide expert testimony by City Council policy staff suggesting strategies and approaches to consider in developing a comprehensive response to the increased rates of suicide amongst our soldiers and returning veterans with the goal of helping those returning home. A population that has more soldiers dying from suicide than warfare, an over 100% increase from 2001 to 2009. 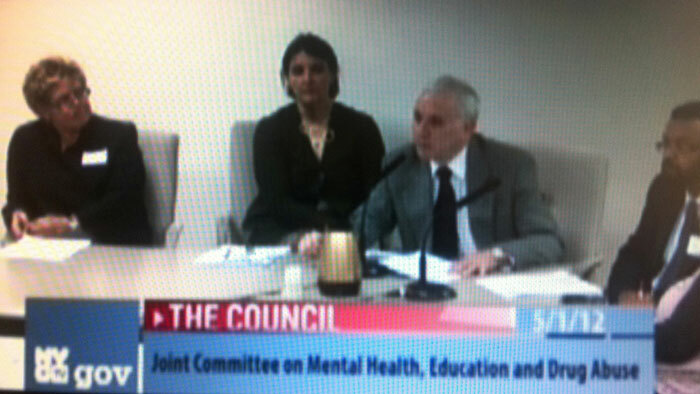 NYC Council Committee on Veterans, NYC Council on Mental Health. Collecting and analyzing data has always been a challenge for Samaritans due to the absolute anonymous and confidential nature of our work. But ZS Associates, a global management consulting firm with expertise in sales and marketing issues took Samaritans on pro bono and undertook a series of research projects to assist us in analyzing and quantifying program and market research information helping us to better understand those we serve, how to reach them and further document the benefits of our services. Love Our Children, USA is a national nonprofit organization fighting all forms of violence and neglect against children, especially bullying, cyber bullying and Internet safety. Samaritans was asked to provide guidance in developing the guidelines and procedures to be utilized in the operation of their new STOMP OUT Bullying Chatline, an Internet “chat” project that will respond to youth who are or have been victims of some form of bullying. Samaritans also designed and presented the initial Chatline training program. Responding to the recent CDC Youth Risk Behavior Survey that revealed significant increases in NYC Latina high school students who made a suicide attempt that required medical attention, Samaritans provided testimony focusing on multi-faceted community-based responses and ‘enhancing protective factors’ at a public hearing held by NYC Department of Health & Mental Hygiene, NYC Council Committee on Women’s Issues, NYC Council Committee on Civil Rights. NYC’s first comprehensive professional development conference focusing on suicide prevention brought together over 400 policy makers and mental and public health providers from non-profits, government agencies and the school system to learn about best practices, promising programs, cultural diversity, high-risk populations and effective interventions from 40 top experts, program designers and researchers. Samaritans Volunteers visited 216 senior centers, out-patient facilities, drug rehabilitation programs, food pantries, unemployment offices and other agencies that serve at-risk populations in Manhattan, the Bronx, Queens and Brooklyn to provide support and resources over the holiday season. Sites included: Salvation Army Bay Ridge, Sunset Park Senior Center, American Legion Post 1833, St. Margaret Mary Church Food Pantry, Brooklyn AIDS Taskforce, Puerto Rican Family Institute, Jacobi Medical Center Geriatric Outpatient Clinic, Inwood House Young Fathers Program, Good Shepherd Services and others. Samaritans undertook an extensive review of existing literature and resources to identify the need for, and possible contents of, a training program for law enforcement personnel on appropriate and effective responses to suicide survivors and attempters. 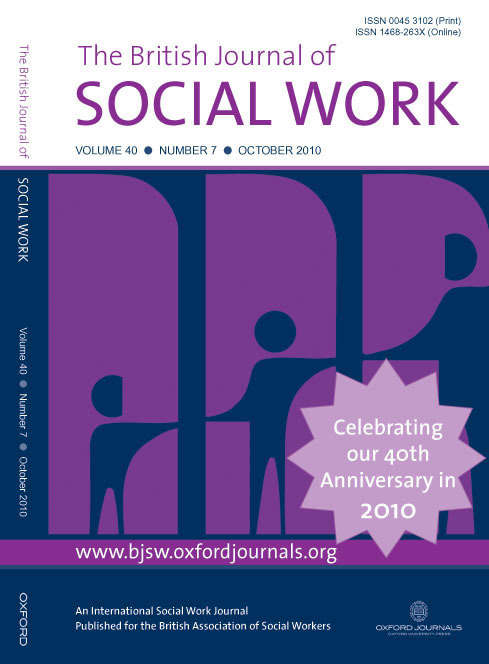 Our work resulted in the compilation, cataloguing and summary of existing educational materials and training curricula for law enforcement on topics related to suicide prevention and response; and interviews with high-ranking US law enforcement officials to identify their priorities, protocols, training and responses at the scene of suicides. 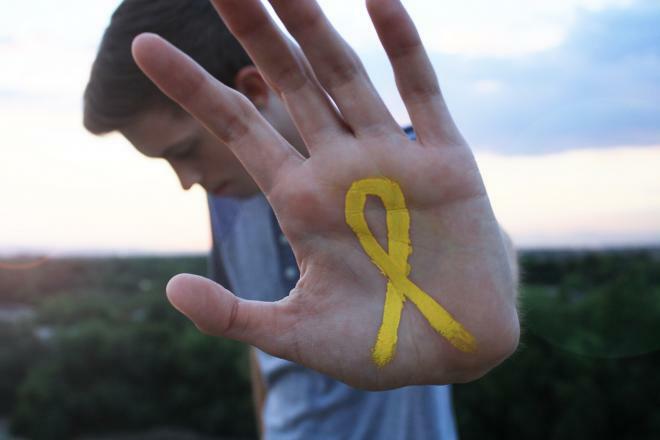 Funding by Suicide Prevention Resource Center, in contract with SAMHSA, US Department of Health & Human Services. Brought important information and prevention planning to groups in NYC that are ideal settings to advance prevention but traditionally have not benefited from suicide public health initiatives. Samaritans conducted community outreach and disseminated education materials to religious and spiritual groups from a cross-section of NYC’s diverse cultures and belief systems (Catholic, Jewish, Islamic, Buddhist, Protestant, etc.) and trained psychology and social work staff at over 100 NYC religious schools. NYS Office of Mental Health Suicide Prevention Education Project. As the impact of the economic downturn continued and research shows how it leads to depression and suicide, the media consistently turned to Samaritans to provide a humanistic perspective. The New York Times devoted an entire column on our hotline (Looking In on the City’s Samaritans At a ‘Dark Time’ in the Land) while Condé Nast Portfolio, Time Magazine, AM New York, Associated Press and New Statesman all explored our view that it is not just the economy but an ongoing series of complex problems (anxiety, unemployment, terrorism, fear of the future, etc.) that combined have contributed to a country in crisis. Training Outcomes from the Samaritans of New York Suicide Awareness and Prevention Programme Among Community- and School-Based Staff is based on evaluations of Samaritans three-hour core professional development training provided to NYC public school and government agency staff who completed a pre and post measure of self-efficacy to identify a person in distress or in a suicidal crisis. Conducted by Monica Matthieu, PhD, LCSW, Washington University and the Department of Veterans Affairs Medical Center, St. Louis, Missouri, results showed participants scored significantly higher on a measure of self-efficacy after training (M=3.7, SD=0.6) than before (M=3.3, SD=0.7) (t= -13.24, p<.05). Samaritans’ work with Citymeals-On-Wheels, which provides nutritious meals and human company to homebound elder New Yorkers, is an example of our collaborations with countless community-based agencies that serve high-risk populations. 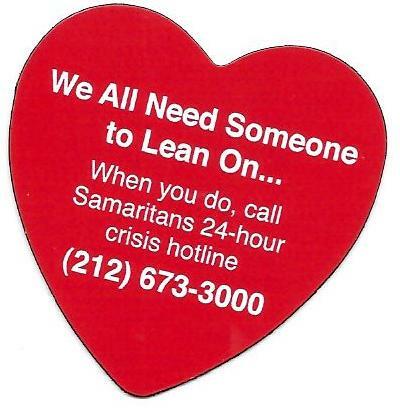 Samaritans distributed over 14,000 We All Need Someone To Lean On… heart-shaped refrigerator magnets promoting the availability of our 24-hour hotline in the agency’s special holiday hot meal program which led to many isolated elderly New Yorkers calling us and receiving free access to ongoing emotional support. At the suggestion of the NYC Department of Health, Samaritans was initially asked to provide assistance and guidance in the development of this national volunteer organization devoted to providing those who have lost loved ones in air disasters with support from individuals who have experienced similar losses. This led to our consulting on the design of their policies and procedures and the development and presentation of their Grief Mentor training to increase their consistency and effectiveness in responding to those whose losses result from the smallest to the largest aircraft disasters and tragedies like 9/11. Samaritans was selected to receive an American Red Cross September 11 Recovery Grant to provide and increase the levels of emotional support, education and training for thousands of people impacted by the events of 9/11. The project provided an alternative to traditional counseling–something many people resisted due to their concerns about confidentiality, the stigmas tied to “getting help” and their fears on how it might affect them professionally–serving mental and public health agencies, businesses and corporations, 9/11 family groups, faith organizations and schools providing services to those impacted by 9/11; as well as those directly impacted by 9/11 (family members, recovery workers, survivors, etc.). Unfortunately, NYC with its large transient population and heavy tourist trade, especially around the holidays, is too frequently a destination for suicide attempts. This is especially true in Manhattan where over 10% of the suicides are committed by visitors, a fact that led to Samaritans education and awareness campaign providing key staff at over 250 hotels, bars and health clubs with the information and resources they need to identify and respond to customers who are depressed and at-risk for suicide.